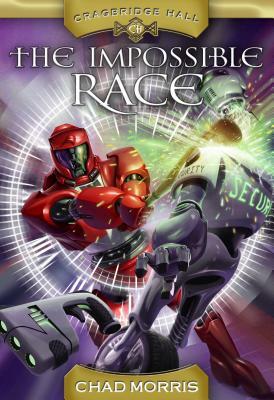 Every year the futuristic school, Cragbridge Hall, holds its most popular tournament--the Race: a series of challenges that range throughout the school and require the use of its amazing inventions like its holographic time machine But this year is different. Rather than a monetary or academic reward, this year's winner will be the recipient of a carefully guarded school secret: a secret that could prove both powerful and dangerous. Chad Morris would love to be able to control animal avatars, see history in 3D, and show everyone how he imagines stories. Since the inventions that would make that possible currently exist only in his imagination, he settles for reading, writing, playing basketball, rappelling down an occasion slot canyon, dating his wife, and hanging out with his five awesome kids. Chad speaks Portuguese, can play the Phineas and Ferb theme song on the guitar, and does decent impressions of a velociraptor and Voldemort--but not at the same time. He isn't very good at fixing his car, shopping for anything, cooking, or growing hair.